More than 2,100 people go to work every day at Ontario’s largest marine port, which spans 630 acres along Hamilton’s working waterfront. The people working here are part of a maritime trading industry that is older than the province itself, and yet which holds untapped economic opportunity. This is not like any other industrial district; the access to multiple modes of transportation in one location creates a special advantage. So uncommon is this combination of industrial space and marine-rail-and-road services that the port’s operator, the Hamilton Port Authority, has attracted close to $350 million in new industrial investment inside the last decade. In fact, in recent years, the port authority has faced a shortage of space needed to meet the demand from new industries. In part to assist with this challenge, in November 2018, the Canadian federal government, through the National Trade Corridor Fund, announced a $17.7 million contribution to a port lands modernization project. This project will help create new development parcels, and complete the multi-modal infrastructure necessary to support $80 million in new investment attraction. This steady investment activity runs contrary to common assumptions about industrial stagnation. It is true that many old industries have disappeared from Hamilton, but modern industry: port terminals, logistics hubs, and food processing facilities have emerged as sources of strong new economic growth, and demand for industrial land. 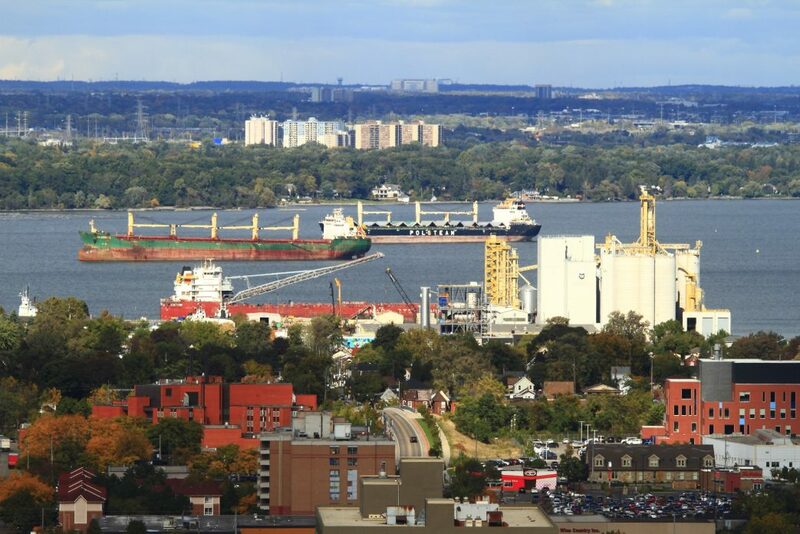 For example, Hamilton’s port is now home to a brand-new grain export terminal, a mid-sized brewery, and the first new flour mill to be built in Ontario in 75 years. New industries look and operate very differently than those that dominated Hamilton’s economy and skyline 100, 50, or even 25 years ago. New developments are more compact, better-looking and meet higher environmental standards. Hamilton has always been a place for making things, and industry continues to be among the most productive segments of the city’s economy. Plenty of Hamiltonians still bring home a paycheque from this work, including 41,000 in manufacturing, 21,000 in construction, 15,000 in transportation/warehousing and 4,000 in primary industries like agriculture. The economic spin-offs are higher from these sectors, and jobs tend to be well-paying and full-time, compared to jobs in the service sector, for example. This is true for the 2,100 jobs at the port, which pay 20 per cent better than the Ontario average; and why it is critically important, not only in Hamilton, but throughout the province, to preserve the industrial land supply and to deploy it intelligently. Hamilton is an example of new industry done right: multi-modal transportation infrastructure, combined with smartly-repurposed industrial space. It’s an approach that produces great results: this year, the Port of Hamilton will move more cargo than any time in the past decade, and overseas exports out of the port are up by as much as 80 per cent. It’s an approach that is working for Hamilton, and makes sense for all of Ontario.